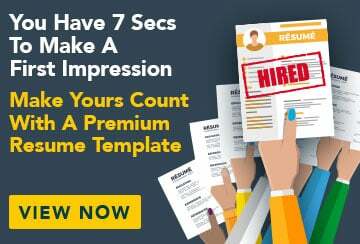 This free sample cover letter for a freelance writer has an accompanying freelance writer sample resume to help you put together a winning job application. Please accept this as my application for the position of freelance writer with Peace, Love & Tambourines as advertised on Seek.com.au. I am a passionate writer with three years experience in the industry, writing for various print and online media, both here in Australia and overseas in Barcelona, Spain. For the past year I have been working as a freelance writer and copywriter gaining experience writing in different styles for numerous target audiences on topics such as fashion, music and general news and events. Working as a freelance writer I have had to use my initiative to source projects and contacts. Freelancing has required me to have excellent organisational and multi-tasking skills to successfully manage multiple assignments and meet deadlines. My focus and excellent time management skills enable me to work independently without distraction. I have had an abundance of experience sourcing and taking accompanying images for articles as well as audio and video files for online platforms. Working in online media as well as managing my own blog, I have also gained basic HTML knowledge as well as an understanding of Web Content Management Systems. In my previous employment history, I have assisted editors with sub-editing and fact checking, which has honed my eye for detail and command of syntax and grammar. Running my own music blog, I constantly have an ear to the underground music scene, fuelling my passion for all music genres, especially folk music. I have experience covering music shows and interviewing musicians, and I would love the opportunity to work with Peace, Love & Tambourines to share my passion for music with a wider audience.